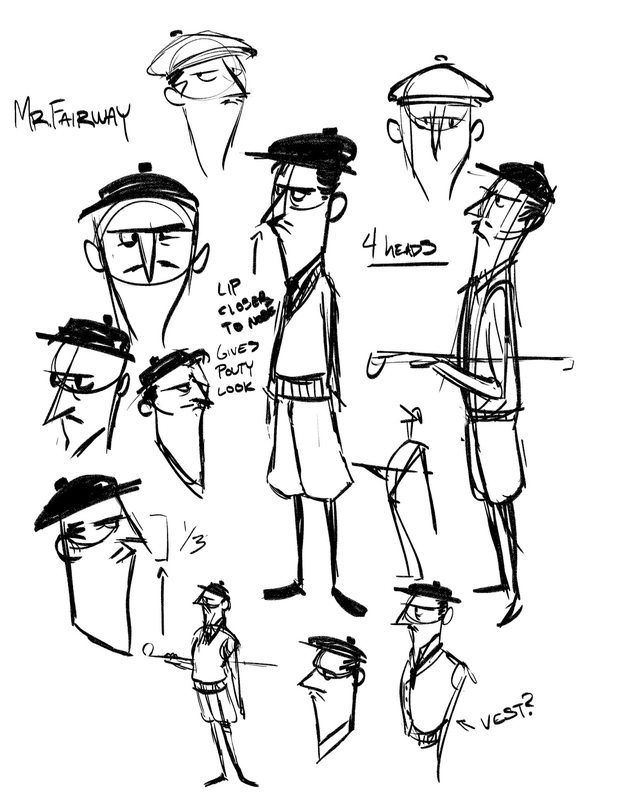 For character design we had to design two contrasting characters in personality and design. 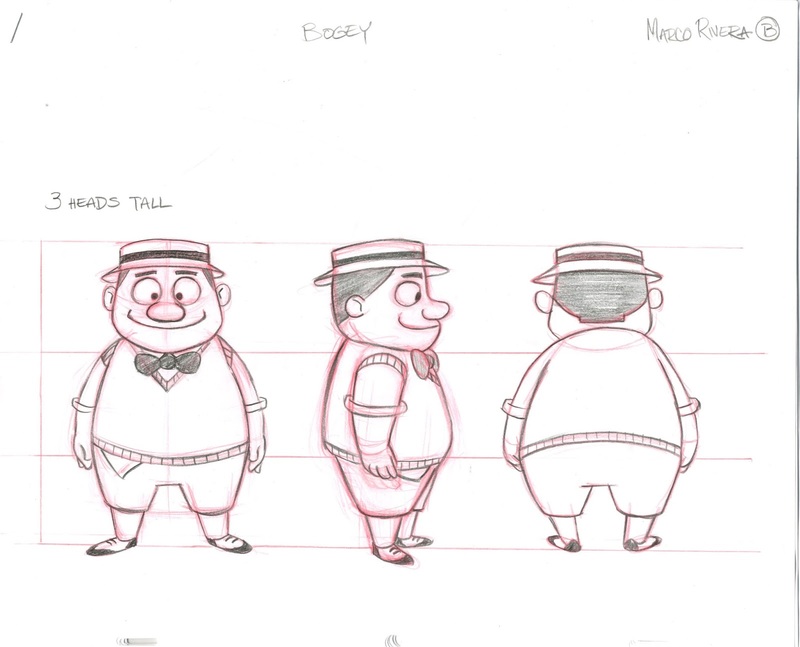 We then had to take those characters and use them for an animation walk assignment and they had to interact in some form. 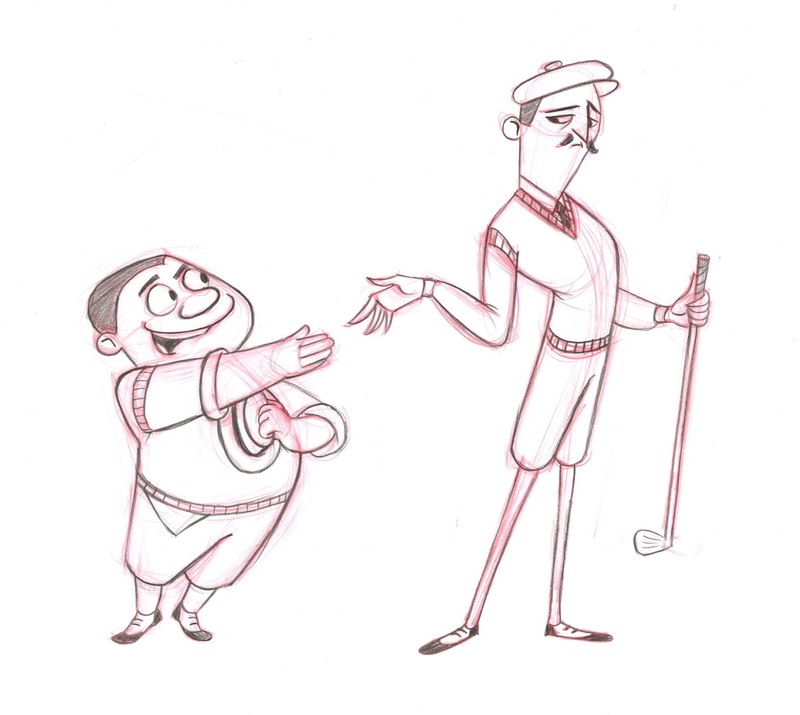 For my characters I settled on the idea of two 1920's golfers after coming across some old golf photos on the internet. 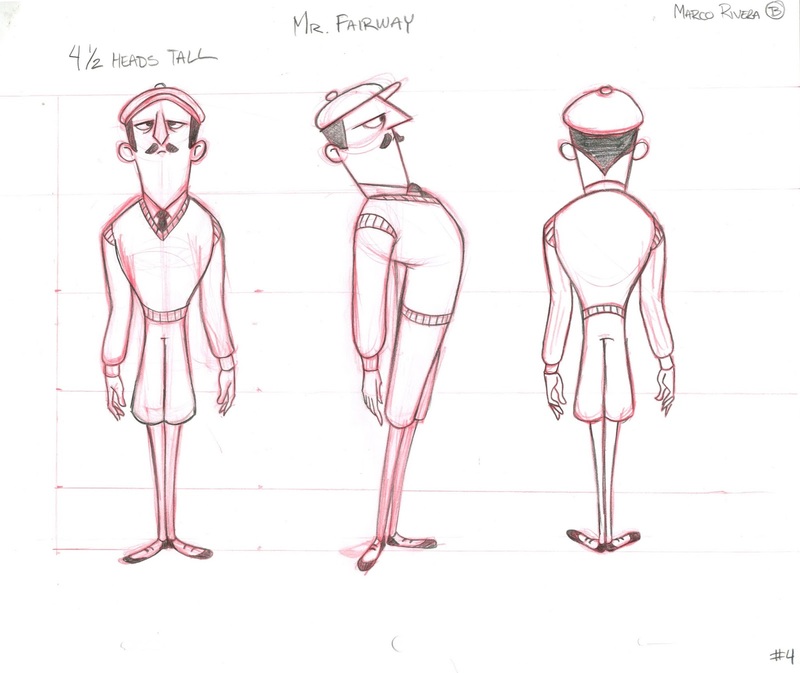 So I came up with the two characters: Bogey and Mr. Fairway. 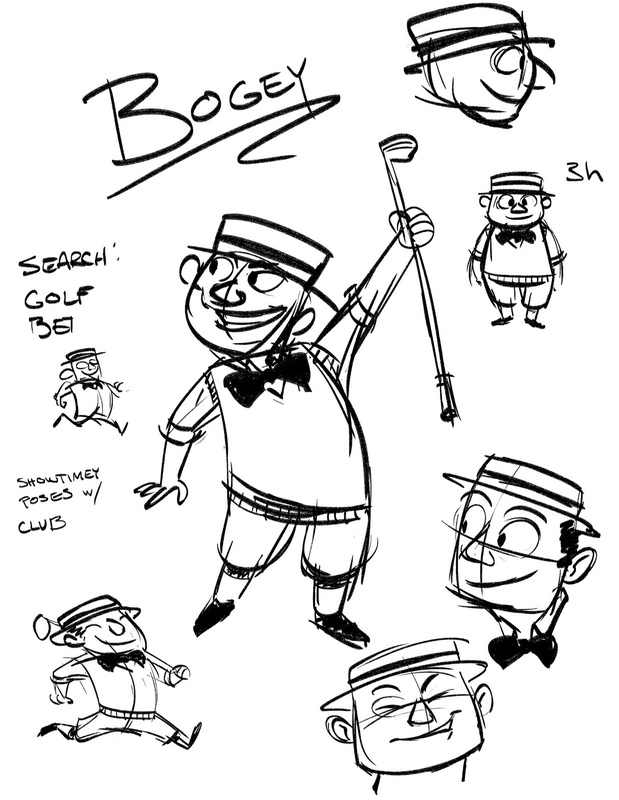 Bogey is a newbie to the sport and is pretty enthusiastic about everything. He loves to play for fun. 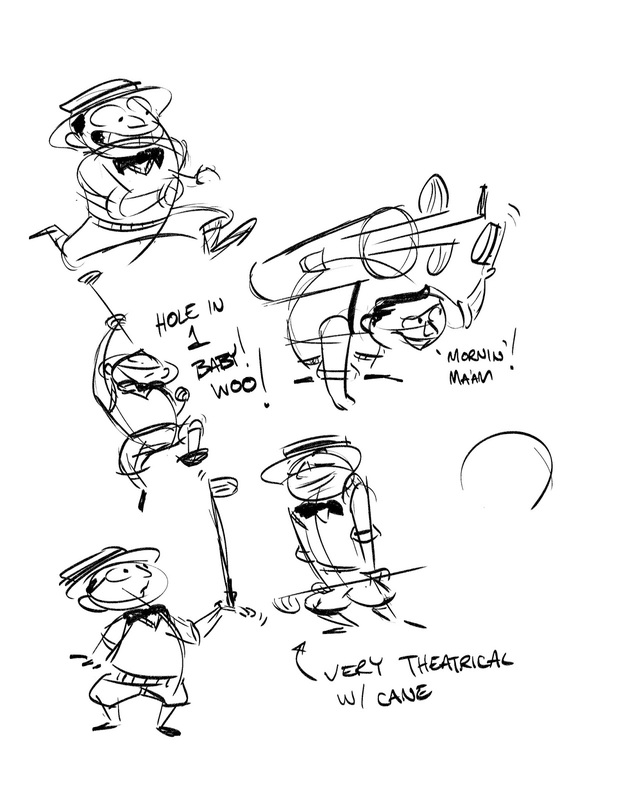 Mr. Fairway on the other hand has been playing for years, most of his life to be exact. He takes the sport seriously and plays "for the sport" as he would say. 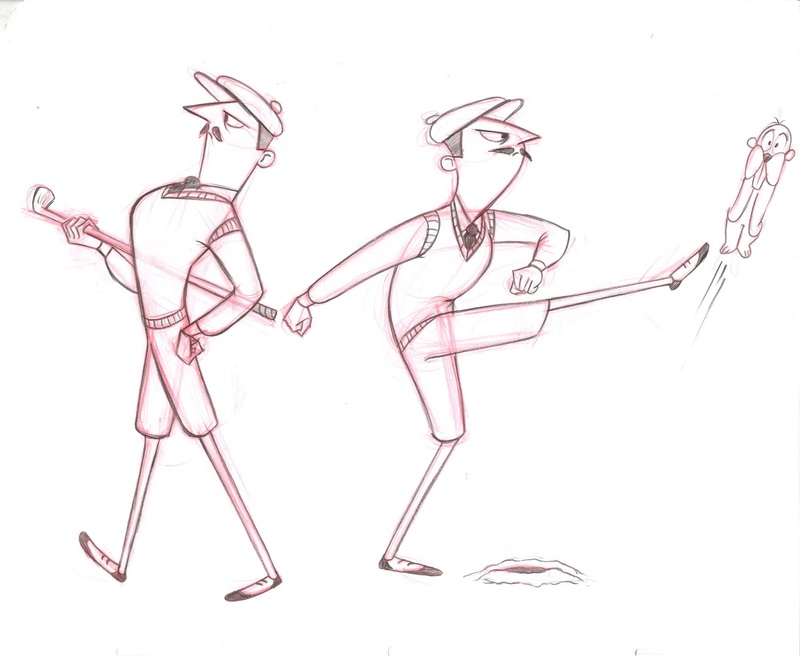 When the two decide to play a match together, things get a little awry. 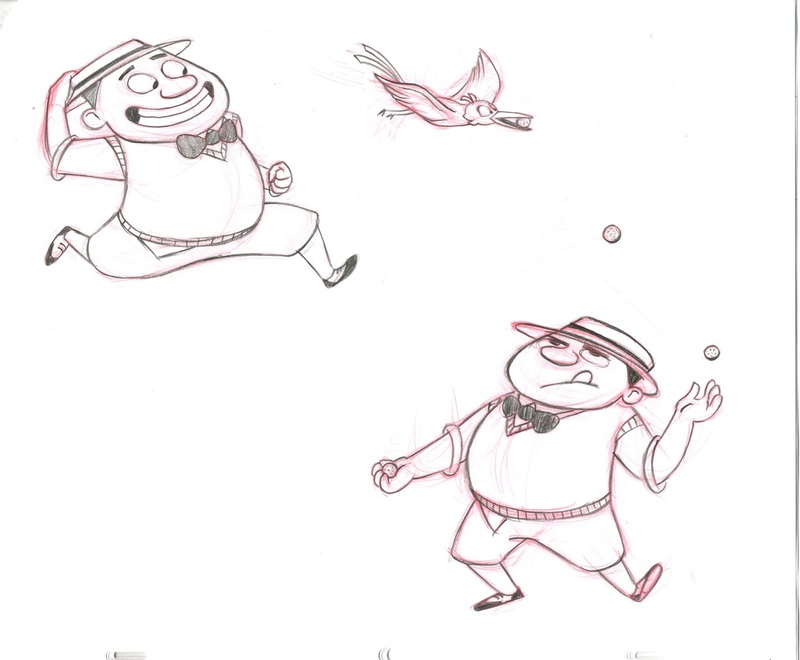 I wanted to clean up this animation during the winter break but things did not go as planned and the school closed for a good chunk of the break which wasn't so swell. So here it is in its uncleaned state. I still like it a lot and I would like to come back to it and develop it more and actually clean it up as well and/or add some backgrounds at least. 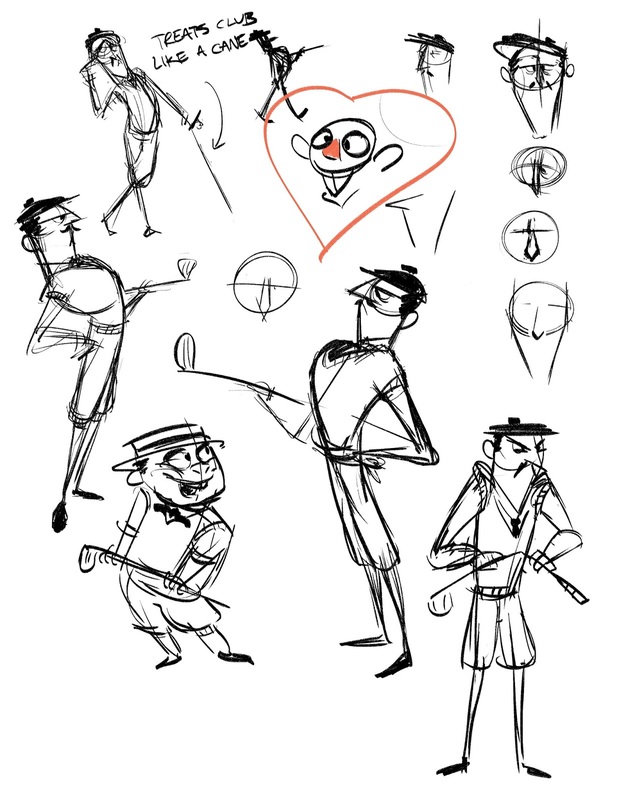 I had a TON of fun with both these assignments and I absolutely love the characters I came up with. I will definitely revisit them. 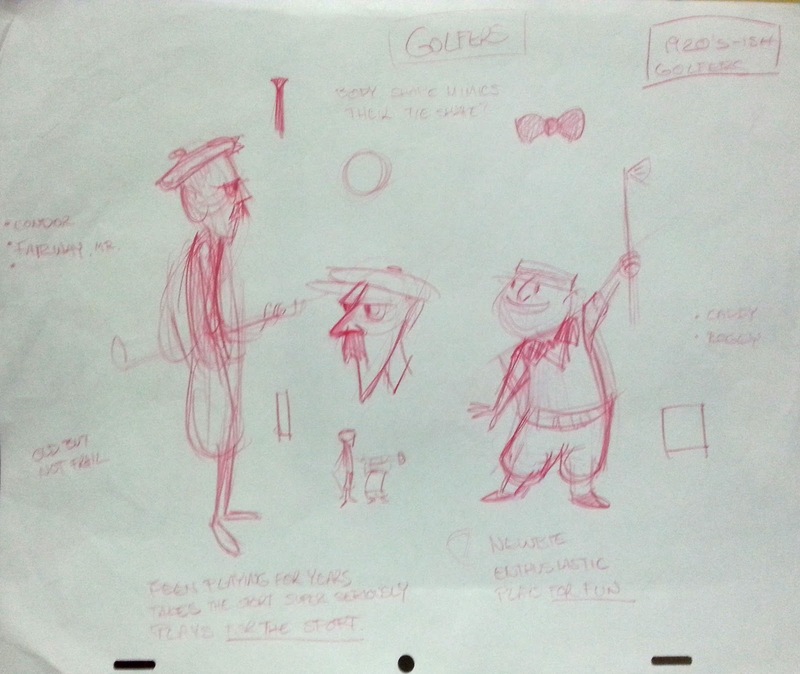 The first rough drawings of Bogey and Mr. Fairway along with potential names at the side. Sorry for the bad quality photo of it, the paper is too big for my scanner so I had to take a picture with my phone instead.